I made this card for a retired Police Officer that passed onto the other room this week. I can't tell you how gorgeous this card is in person. I have never made a completely distressed card (even the main card fold) and I just love how it turned out. I have entered this card in the Penny Black Background Challenge. Inked the whole card with Tim Holtz Antique Linen, then used the PB Paisley Outline stamp also inked with Antique Linen (just like Jill showed us in her PB & J video). Then inked just the edge of this with TH Frayed Burlap. 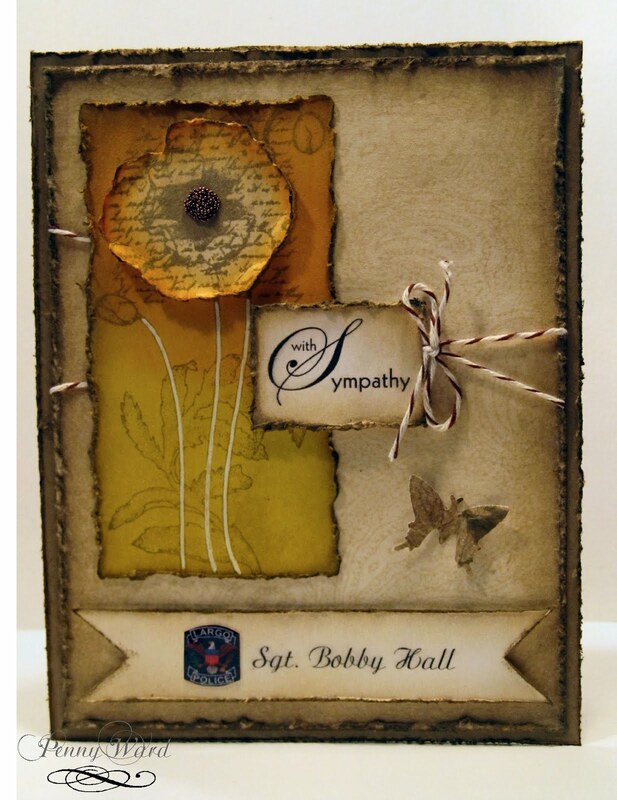 With the PB Poppy Poem stamp I used TH Crushed Olive and Wild Honey, then made a second impression of just the flower and used TH Wild Honey, distressed the edge and inked with TH Frayed Burlap. 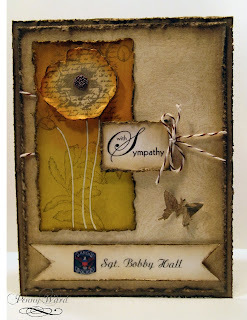 I used Spellbinders for the layer with the flower and the sentiment (digi stamp). Distressed all the edges and inked with Frayed Burlap. For the butterfly, I stamped with the Paisley Outline stamp, waded the paper into a small ball, flattened the paper and ran the TH Frayed Burlap over the wrinkles, then punched out the butterfly. Finally, distressed the edges of the card base and attached all the pieces. Just had to come over and check this out on your blog, too! 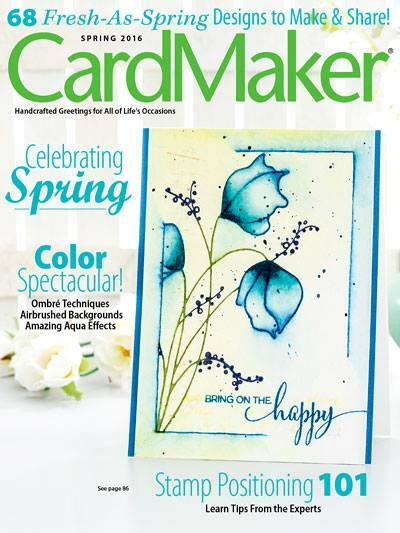 Gorgeous mix of distress ink colors!